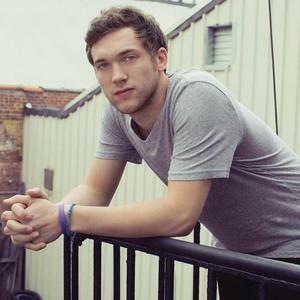 Phillip Phillips (born September 20, 1990 in Leesburg, Georgia) is an American singer and winner of American Idol season 11. Phillips grew up in Leesburg, Georgia and went to Lee County High School. He graduated Albany Technical College, but had to miss the graduation ceremony due to being on American Idol. Phillips auditioned for American Idol in Savannah, Georgia. He auditioned by singing the Stevie Wonder song "Superstition. Phillips grew up in Leesburg, Georgia and went to Lee County High School. He graduated Albany Technical College, but had to miss the graduation ceremony due to being on American Idol. Phillips auditioned for American Idol in Savannah, Georgia. He auditioned by singing the Stevie Wonder song "Superstition." The judges then asked him to audition with his guitar where he performed Michael Jackson's "Thriller." He made it to the Hollywood rounds and later to Las Vegas round. On February 23, 2012, Phillips was chosen as one of the Top 24 semi-finalists. For the semi-finals, he performed "In The Air Tonight" by Phil Collins. He was one of the top five male vote getters and advanced to the Top 13. After the Top 13 performance night, Phillips was taken to a doctor for possible kidney stones. The Home Songfacts reports that after advancing to the final, Phillips was declared the winner on May 23, 2012. He won with a record breaking total vote count of 132 million.